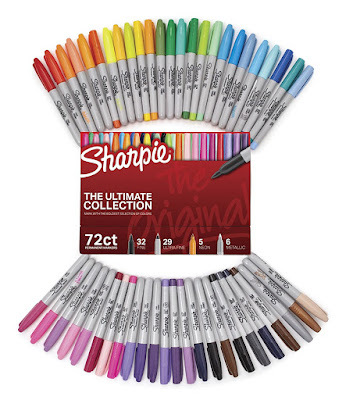 If you need markers, hop on over to Amazon where you can snag this 72-count Sharpie Permanent Markers Ultimate Collection, Fine and Ultra Fine Points in Assorted Colors for just $26.99 shipped (Retail $49.99)! This collection contains 32 fine and 29 ultra-fine point coloring markers, 5 neon markers, and 6 metallic markers that dry quickly and resist fading. This would also make an awesome teacher’s gift.